This is a part of Grain Free Baking Week at Health, Home, and Happiness! 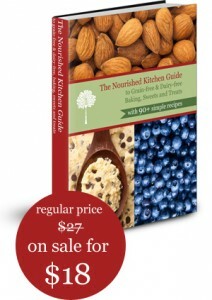 We are baking a few recipes from the Nourished Kitchen Guide to Grain Free Baking and Treats! My children rave about fruit and nut bars like they have addictive qualities, and these are no exception. They love hand held sweet-nutty combinations of GAPS friendly ingredients! Apricots and almonds pair together here with the addition of coconut and flax to make a substantial snack or breakfast in a pinch. Toss all ingredients into a food processor and process until smooth. Grease a baking dish (9″x9″ works well) and spread the mixture evenly into the baking dish. 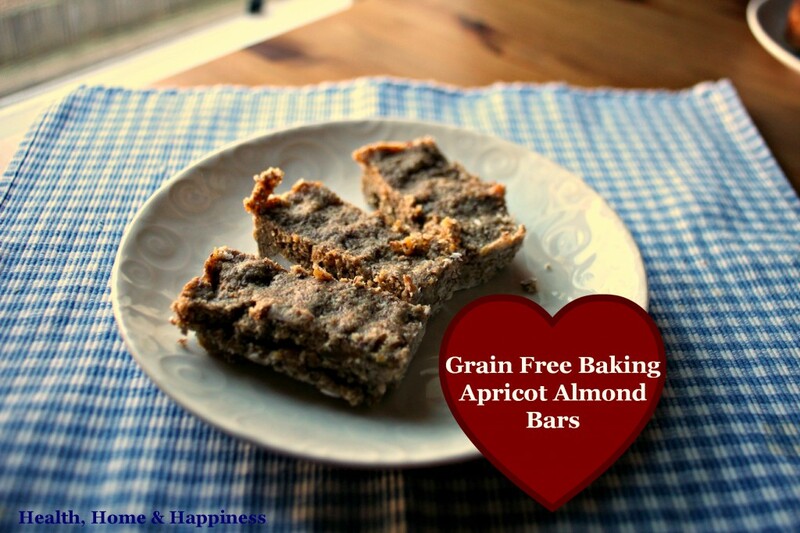 Allow almond-apricot bars to harden overnight. Cut with a sharp knife and serve as a sweet dessert or snack. *Dr Natasha on flax: Flax and chia seeds and oils are allowed on the Full GAPS diet. As a whole seed they are very fibrous and should not be consumed until diarrhoea has cleared completely. People who are prone to constipation find it useful to take a teaspoonful of these seeds every morning, after the seeds have been soaking in water over night (they become jelly-like). breads, biscuits, scones, cupcakes, cookies, brownies, blondies and tons more all in an instant download! The guide is print friendly too. Click here to learn more! Looks yummy! I have a question on Flax and Chia. We have been doing Gaps since November and recently had my sons stool tested. He still has high “bad” bacteria counts. He still has loose stool but only watery if he eats raw veggies or apples. One of the things the natropath reccomended was more fiber to help cleanse, specifically flax and chia. I’ve read on a paleo blog and “The four fold path the Healing” book is that we shouldn’t need fiber at all but that dead microorganisms should provide bulk to our stool. So having trouble reconciling her suggestion with my other knowledge. Does anyone have any resources for me to check out to figure this out? How do we get enough dead microorganisms in our stool that we don’t need fiber?!? I mean come on, can you get more extreme then GAPS? 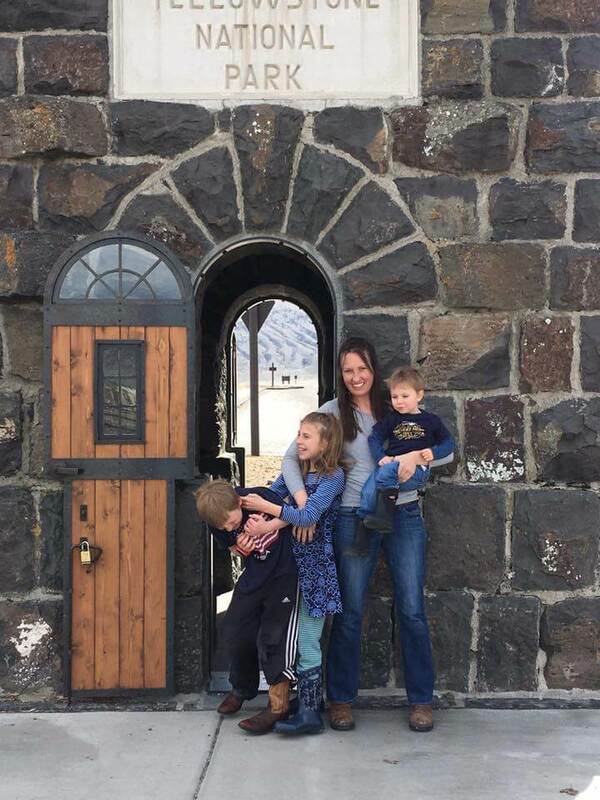 My son didn’t have great digestion ever, but it got real bad after a bout with the stomach flu when he was 2 or 3. For him, I did a course of charcoal (this bulks the stools but it also binds to minerals so you would want to do your own research too) and tons of probiotics for about a week. Like 1 capsule of charcoal mixed into apple sauce twice a day and 4 capsules of biokult twice a day (not at the same time). I was just doing this off of my and my family’s past experiences, and it worked for him – he’s had normal formed stools ever since and this was over a year ago. Maybe that gives you a starting point? I had my daughter’s stool tested (autism, but no digestion issues at least from a stool consistency standpoint) and I’m not sure how accurate it was. She tested high in candida and took nystatin but I don’t feel like it made a difference for her.